Police say the three suspects are responsible for numerous robberies in Hempstead. Nassau County Police have arrested three teens in connection with a string of robberies that have occurred in Hempstead. According to officials, Nicholas Gardner, Deshawn Martin and Cecil Brothers, all 17 and from Hempstead, are all facing charges. On Monday, November 25, 2013, at 6:10 p.m., police say the three suspects approached a 53-year-old on Greenwich Street. They knocked him to the ground and began punching and kicking the victim before taking his wallet, which contained an undisclosed amount of cash. The suspects then fled the scene and the victim was taken to a local hospital. Later that same day, around 7 p.m., police in Hempstead responded to a call where a 37-year-old male victim was punched in the face by Gardner. The suspect then took the victim’s keys and fled the scene. After an investigation into the robbery, police discovered that Martin and Brothers were involved in the earlier robbery. Martin and Brothers were placed under arrest without incident and were arraigned at the First District Court in Hempstead on the next day. They were charged with Robbery 1st degree, two counts of Robbery 2nd degree and Assault 2nd degree. On Wednesday, December 4, 2013, at 6:40 p.m. Gardner approached a 39-year-old male victim on Henry Street and Albemarle Avenue and demanded his bicycle. He then punched the victim in the face, causing a contusion, and fled the scene. On Friday, January 3, 2014, at 4:20 p.m., Gardner approached a 33-year-old male victim in front of 386 Fulton Avenue. He punched the victim in the head and mouth and demanded money. The victim was able to run from the scene, find a police car and give a description of the suspect. The police then officer located Gardner at 400 Fulton Avenue. Gardner had found another victim, a 76-year-old man, in the parking lot. Police say he had pushed the victim to the ground, punching and kicking him causing contusions to his face. Gardner fled the scene on foot. Police located Gardner on January 4, 2014 at Kennedy Park in Hempstead. He was placed under arrest and charged with Robbery 1st degree, five counts of Robbery 2nd degree, four counts of Attempted Robbery 2nd degree and four counts of Assault 2nd degree. He was scheduled for arraignment on Sunday at First District Court in Hempstead. Since all victims of these robberies were Hispanic, Gardner is being charged with biased crimes. Anyone with information regarding these robberies is encouraged to anonymously contact Nassau County Police Third Squad at 516-573-6353. 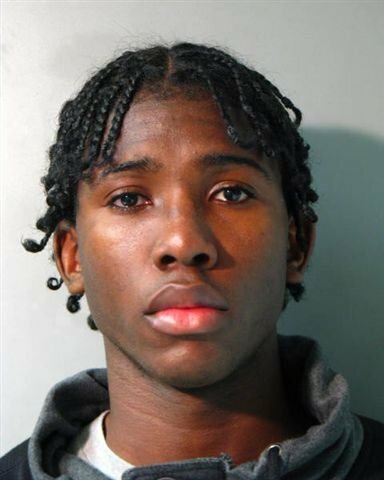 Subject: LongIsland.com - Your Name sent you Article details of "Three Teens Arrested for String of Robberies in Hempstead"